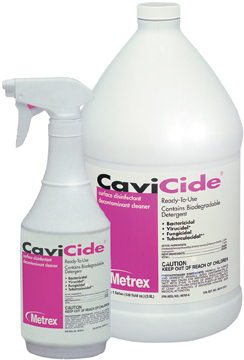 Convenient, ready-for-use, broad-spectrum multi-purpose disinfectant for the cleaning and disinfection of hard surfaces. A Recommended disinfection solution by numerous medical device manufacturers. Intermediate-level disinfectant which is effective against TB, HBV, viruses, bacteria and fungi. 3-in-1 surface disinfectant, decontaminant and cleaner.